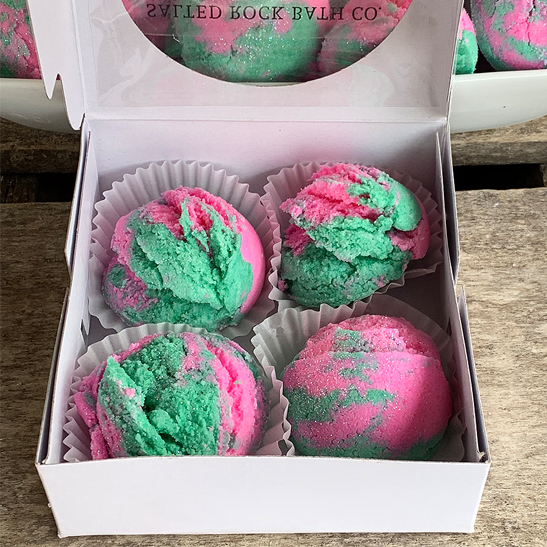 Pink Watermelon Bath Truffles – Salted Rock Bath Co.
What is a bath truffle? We get asked this a lot. Well, it’s like a bath bomb, but better. Each container is filled with four moisturizing bath truffles made with luxurious shea and cocoa butter. Our truffles create an abundance of bubbles while creating a skin softening spa experience in your tub. 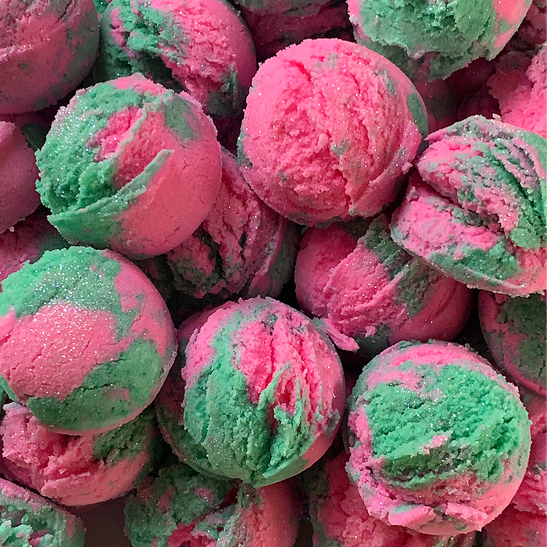 Pink Watermelon truffles are scented with a Sweet and delicious blend of pink watermelon with nuances of bright apricot and white florals. Directions: Hold or crumble 1-2 truffles under running bath water. You can also just pop a few into the water, but there will be less bubbles this way. All products at SRBC are handmade in small batches to ensure quality and freshness. Because of this, appearance may differ slightly with each batch. Each box contains four 1oz truffles. Pure cocoa butter is thought to reduce skin dryness and improve elasticity. Citric Acid comes from citrus fruits. It has astringent and anti-oxidant properties.